Call Now for Commercial Copier and Printer Sales! Professional Business To Business Service! When you're facing any issue with your printing machine, count on Print Source. We can repair and service printers of all makes and models. If we can’t fix, we offer competitive prices on new copiers and printers. We also offer OEM toner cartridges and imaging supplies of modern printing devices. We work diligently to ensure that you receive top-quality services at a bargain rate and in a timely manner. You can rely on us for all your commercial printer repair and service needs. Our trained technicians keep your imaging equipment running efficiently. Our goal is to provide superior customer service and high-quality printing materials that best suit your budget. We offer commercial copiers and printers for all your business purposes. 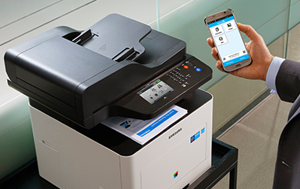 Multifunction Color Printers Starting at $99/Month! Call Now for Business Copier Leasing Services! Copyright © 2018 printsourcehouston.com All rights reserved.